The Many Adventures of Winnie the Pooh is, in many ways, one of my favorite animated films. To be honest, I hadn’t seen the film in over ten years. I’m always surprised when I come back to a childhood favorite whether or not it holds up for me as an adult. I was delighted when I popped it in to find that I remembered all of the words to all of the songs and also found myself smiling and laughing quite a bit. In other words, this is still a film that has its hold on me as an adult. It doesn’t require any real plot or characterization, especially since it jumps from one story to the next, but it works, and it’s so charmingly simple and makes you feel like a kid again. The film is comprised of three animated shorts that were released theatrically by Disney at the end of the 1960’s and again in the 1970’s: Winnie the Pooh and the Honey Tree in 1966, Winnie the Pooh and the Blustery Day in 1968 and Winnie the Pooh and Tigger Too in 1974. It was necessary to animate additional footage to make the three shorts flow together as seamlessly as possible, as well as adding the denouement moment between Christopher Robin and Pooh that closes the film. Both the shorts and the film helped to re-popularize the books that they were based upon (despite people criticizing Disney for straying away a bit from certain aspects of the books), but they also helped create a franchise of characters for Disney. Despite my affection for the TV show The New Adventures of Winnie the Pooh in the early 1990’s, there’s still nothing quite like the original film, or as it’s dubbed on this new Blu-ray release, “The Original Classic.” It captured something magical with a wonderful cast of character actors and remarkable music by the legendary Disney go-to team, the Sherman Brothers. It never feels dated or out of touch in any way, and as a consequence, it never loses any of its appeal. I have a feeling that another ten years from now, I’ll still feel the same way about it, and I’ll welcome the chance to escape to my childhood once again. The transfer for The Many Adventures of Winnie the Pooh to Blu-ray is one that is both wonderful and troublesome at the same time. But let’s get one thing clear: this is not the debacle that was The Sword in the Stone: 50th Anniversary Edition. On that release, the intention of the team behind the transfer was to make it as clean and sharp as possible, disregarding the finer elements of the image. Needless to say, that release was supremely disappointing. The Many Adventures of Winnie the Pooh, however, doesn’t even begin to come close to that level of dissatisfaction. “What’s there to complain about?” you might ask. Well, let’s start with the most obvious thing: the film grain. There is none. As it seems to be a Disney high definition tradition, the images are completely free of both grain and film defects such as scratches, lines, etc, even in the live action credit sequence that opens and closes the film. Now this is a hotly-debated issue amongst the animation community and I think this title will add flame to the fire. Most feel it’s insult to the films and that it ruins its integrity. Others feel that it’s not necessarily a bad thing and that it rejuvenates the presentation. I find myself sort of in the middle on this one because the images are pretty spectacular. It’s a strong, clean and precise presentation. Even the original pencil markings are still present, and the character edges are sharp (with a slight touch of edge enhancement, I’ll admit), so the work of the animators has been well-preserved. And despite the loss of grain, detail is surprisingly deep. Backgrounds and textures still carry a lot of it and nothing appears soft that wasn’t inherent in the image already. Brightness and contrast both really good and even. The colors, mostly the foreground primaries, as well as colors on all of the main characters, are quite strong and even for the most part. To me, this seems like more of a restoration effort than an attempt at “improvement,” but since the film is comprised of three shorts that were released years apart with (most likely) different animators, it’s safe to say that trying make things look as even as possible across the three stories was likely on the restoration team’s mind. I didn’t notice any macroblocking, compression issues or any other anomalies in the presentation. If any detail has been lost with this new restoration, but if it has, it’s very minor. For me, this is a very strong presentation that, while a little flawed, is still remarkable to look at. Purists will probably have the most problems with it, but I have a feeling that most won’t notice or care, and they’ll be more than happy with the results. 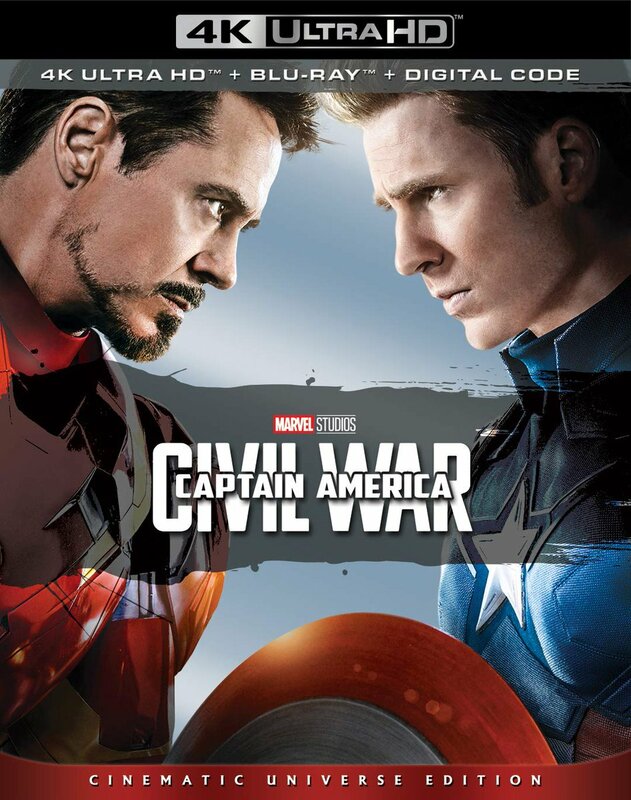 The film’s soundtrack is less controversial, and comes in four different channels: English 5.1 DTS-HD (dubbed “Disney Enhanced Home Theater Mix” on the main menu) and English, French & Spanish 2.0 Dolby Digital. The new repurposed DTS track is mostly good. All of the voices are clean and clear, while the sound effects and score are given a bit more room to breathe in the rear speakers. Mind you that the aforementioned rear speakers don’t offer an enormous amount of activity or surround dynamics, but there is some light ambience to be heard at times. LFE is also pretty tame, with very few moments of deep bass in such a light-hearted film. And you can always hear when the switchover occurs from one short to next, but overall, it’s pretty satisfying. There are also subtitles in English SDH, English, French and Spanish for those who need them. For the extras, there’s a decent amount to dig through, but unfortunately not enough on the making of the film, which I would have liked. There’s the Disney Intermission option, which can be found under the subtitles and toggled On or Off; the Pooh Play-Along game; the Mini Adventures of Winnie the Pooh shorts (If I Wasn’t So Small, Piglet’s Drawings, The Expedition, Geniuses and The Honey Song); a section for Classic DVD Bonus Features which contains the A Day for Eeyore short (a good comparison for the main feature’s transfer because of its lack of restoration), The Story Behind the Masterpiece featurette and “The Winnie the Pooh Theme Song” performed by Carly Simon; a Digital Copy featurette; and finally, a paper insert with a Digital Copy code. And maybe it’s just me, but every time I paused it and the Disney Intermission portion took over, I would try to get back to the main feature, but it would always take me back to the beginning of the film. So if you don’t want this to happen to you, be sure to turn it off before the film starts as it’s automatically set to On when you put the disc in. For the DVD that’s included, you’ll find audio options in English, French and Spanish 5.1 Dolby Digital; subtitle options in English SDH, English, French, Spanish and Portuguese; the Disney Fast Play option, a single Mini Adventures of Winnie the Pooh short Geniuses; “The Winnie the Pooh Theme Song” performed by Carly Simon; and the Digital Copy featurette. Missing from the previous DVD editions (the 25th Anniversary Edition and the Friendship Edition) are the following: a bonus short My Friends Tigger & Pooh; The 100 Acre Wood Challenge game; the DVD Storybook Pooh’s Shadow; a Winnie the Pooh Scrapbook; a Pooh’s Pop-Up Fun Facts option; an art gallery and a Sing-Along for “The Wonderful Thing About Tiggers.” So yeah, there’s definitely some good stuff missing that should have been carried over, but at least they included most of the main extras from previous releases and a couple of new ones. Oh, and there’s even something for the youngsters out there. Also included is a kite in plastic packaging with Tigger on it for those blustery days. Not essential, but a nice touch, I thought. All in all, this is a great release from Disney. It’s not perfect, but it gets more right than it does wrong, and it’s a welcome change from the abysmal release of The Sword in the Stone on Blu-ray. Disney’s track record for restoring and releasing their catalogue titles on DVD and Blu-ray can be a bit spotty, but if they continue in this direction, improving their restoration efforts and actually learning from them, then the better off we’ll all be for it. 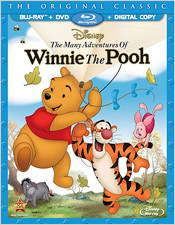 So kudos to them for making The Many Adventures of Winnie the Pooh a nice solid Blu-ray title that’s worth picking up.